And then I walked into what seemed like a perfectly normal grocery store! I was really impressed by the selection of groceries and merchandise. While trying to locate the plantain chips, I had seen a guy (pictured in the “store layout” photo) who seemed to be an employee. He was comfortably seated and playing with his phone. I went on to ask him for directions and he politely pointed me in the right aisle. Personally, I thought it’d be a better use of the company’s resources if he were walking around and proactively seeking ways to enhance the customer’s experience. I was also pleased with the cereal selection, especially as I eat a lot of cereal nowadays. I was very happy to find out that Ebeano stocks one of my favorite cereals ever: Fruit n Fiber. Plus, I had no clue that Milo cereal exists! After picking up my plantain chips, I continued to window-shop and came across some clothing items and accessories for women and babies. I don’t recall seeing any items for men but they probably stock some somewhere in the store. The quality of the products seemed decent. When reading some of the comments left on this site , as far back as two or three years ago, it appears that the owner of Ebeano does not have access to these comments, or does not care. Ebeano, it is true has a large stock of goods , that you may not find in other shops, but their customer service attitude- there is NO customer service attitude. Staff are rude, unwilling to be of help, and it is a constant feature that each time you shop you must donate anything from N50 to N100 Naira, to who? because there is never any change! Even if there is no change, an attitude of apology would help, but the attitude of take it or leave it is what reigns. Mr Ebeano, i have seen shops rise and i have seen them fall, i do not wish you ill, but unless you change the attitude of your employees it is not hard to predict what will happen. I used to shop at Ebeano everyday , now it is only when i really need to, as soon as i find other options i will stop shopping at Ebeano. At this time, shops and supermarkets are springing up all over Lekki, and options are greater and more available. You may choose to ignore this post , and decide who is this person anyway? but i must warn you that for one person who dares to speak out, ten people are keeping silent , in the end it is eleven people you will lose. You’ve summed up my ebeano experience. I don’t go anymore unless I need something andddd haven’t needed anything that I haven’t found elsewhere. Way too many options to feel limited! I’ve been hearing disturbing news about Ebeano and their stocking policies (mainly that they sell both real and fake so one won’t know the difference) but haven’t been able to confirm. Anyway last time I stopped by the space was very disorganized and poorly stocked! 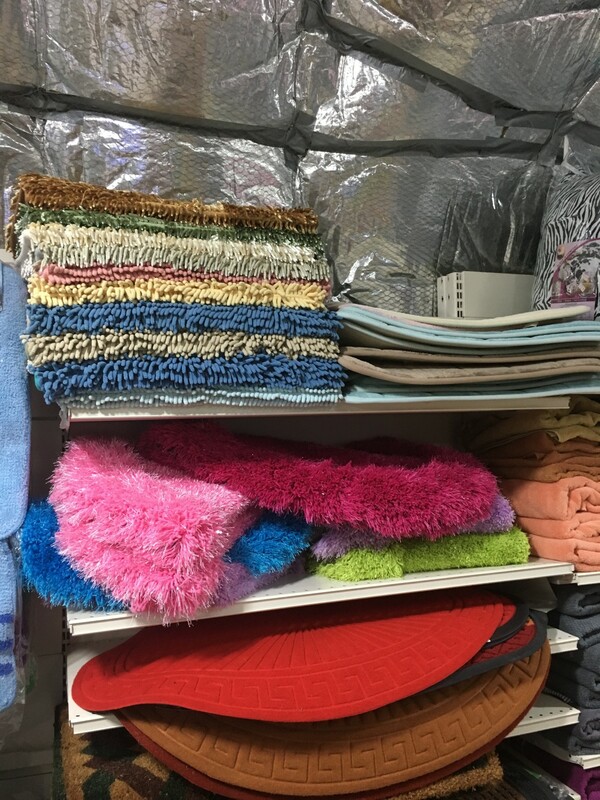 They had bath rugs though and I was happy about that…but wasn’t interested in the colors they had. I love this place. I have never had a bad experience there. They are pleasant and friendly. I mostly see customers being rude and demanding, not the staff. What I love is that they carry beauty and hair products that are made in the USA…so many good natural hair products that you can’t find anywhere else. I love Ebaeno!! I agree with those dissatisfied customers. I never knew other people felt the way I did. I thought I was the only one, which is why I kept my feelings to myself, and each time the supermarket (members of staff included) made me unhappy, I would just seeth in silence. Its the most recent one last week that got me really mad, and in an effort to find the supermarket’s email address so I can lay a complaint, I found this thread, which is such a good thing to me cos I must find a way to vent. Imagine buying cadbury chocolates of up to N4100 from the supermarket for the purpose of cake decoration (I’m referring to their branch at Gbagada), and all to find out when I got home that it culdn’t withstand room temperature. I returned it cos it was only better with the ac in their store. They did not accept it and told me to repurchase the items (maltesers) I wanted to pick to replace this one. Instead of calming me down as an avid customer, they gave me a nasty attitude that I culdn’t bear. I lost in the end. Cos I had to take those melting chocolates and buy the maltesers. The best they culd have done was to beg me to buy another chocolate, and never stock that product again. They still stock it till this day, cos they never learn. All that amount lost ànd nasty people to add on top of the injury. Terrible employees. The most recent one happened in their cosmetics region. I went to buy soap. Normally in a good supermarket, you are assisted in getting things u can’t reach. But no, these ones get pissed when u call for their attention. I was in no mood for that, so I went to get my pack of beauty soap I came for myself. While getting it, one of it fell, and I put it back after getting my soap. I was leaving that section, and one of the employees, whom I figured is the head of that section, came around and held me back! Asking in the most sarcastic manner I’v ever seen, ‘Aunty, which one you fall??’…. Like seriously who touches customers???? You can be rude, but don’t u dare touch me!!!! I was so pissed, but I dint want to cause a scene so I ignored him, hoping I would report him to the Oga, if there was any. You can be sure that the next time it happens, I’m slapping someone, and I’ll come on here to tell the story. Angry, unedeucated, illiterate employees they’ve got there who frown their lives away everyday prolly because of their meager paycheck. Its just sad that they stock a whole lot of things other piple don’t sell, so I have to keep going back there. 🙁 Mr (Owner of Prince), please do something, ur employees will drag u down!!!!! PLEASE CHECK THE SOURCE OF YOUR YOUGHURT SUPPLY! MOSTLY FAKE! iMAGINE i BOUGHT ONE TODAY AND THE PRODUCTION DATE IS TODAY((28.4.2014)! HABA! IT DOES NOT APPEAR THAT EBANOR SUPERMARKET PRODUCE YOUGHURT SO HOW POSSIBLE WHEN THIS PRODUCT INDICATES PRODUCED IN MINNA NIGER SATE? HAPPENED TWICE. I have been shopping with ebeano for at least five years and I have been satisfied over the years until 28th of march when I bought bio oil and found out after getting home that it was fake. Pls I would have to return them as I bought two (200ml) bottles. You should immediately contact the company who supplied you this batch and make a complaint. Sir, why are you in the habit of leaving your mobile phone in supermarkets? In your write-up, you said that you have done the same at Spars Supermarket. Who is the thief here? "U should be careful in terms of Stores u review and recommend. My name is Deola, was in Prince Ebano stores at Lekki Phase 1 b/t 4.30pm and 5pm to buy some stuff having missed d turning 2Spar. At the till, i 4got my NOKIA 113, on geeting back 2d Store, was informed by d Store Mgr dat an handset was found but d owner came and was able 2prove ownership. I insisted dat i left MY PHONE at d till and Cashier said, she found one and gave it 2a RACHEL, who when asked said,''a guy came and told me dat it is his handset and she handed it over without RECORDING IT as Lost&Found and telling the Manager, who promptly became very horrible. When i insisted dat i must speak with someone higher in authority and d CCTV must be examined, he called her again to ascertain dat she indeed gave out a Lost&found item witout PROPER ID!!!!!!!! !Now he promised to go thru d CCTV and revert 2morrow. 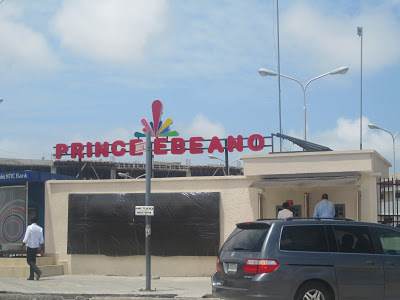 Personally, all staff of Ebeano are THIEVES/ROBBERS AND CANT BE TRUSTED!!!!!!!!!!! I Have left an Handset at Shoprite dat was recorded as lost&found and after Proper ID– d no, favorite nos, regular text,etc d handset was given to me. I wouldnt be going back 2Ebeano, will tell as many pple as i can and will publish my experience on all Social Network. It is disgusting and terrible. It is not d value of d item dat is d issue BUT d fact dat THEY DONT CARE ABOUT THEIR CUSTOMERS PROPERTIES AND ARE DAMN RUDE AND HORRIBLE. IT IS A PITY THAT SOMEONE WOULD SPEND SO MUCH ON D STORES BUT 4GOT TO TEST D QUALITY OF HIS EMPLOYEES……"